The Tavares Jazz Latin Trio / Quintet are experienced professional musicians who have been playing together for many years and produce a great sound. 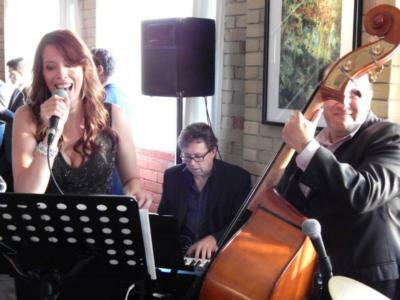 This Toronto jazz trio (Piano, Upright Bass, and Drums) plays jazz standards, as well as Latin and Brazilian music such as bossa novas, sambas, boleros, salsa, and cha-cha's. The ideal music to produce a warm and elegant setting and ambiance for corporate events, wedding receptions and Dinner events. This trio can expand to perform as a wedding band in the Toronto and GTA area. 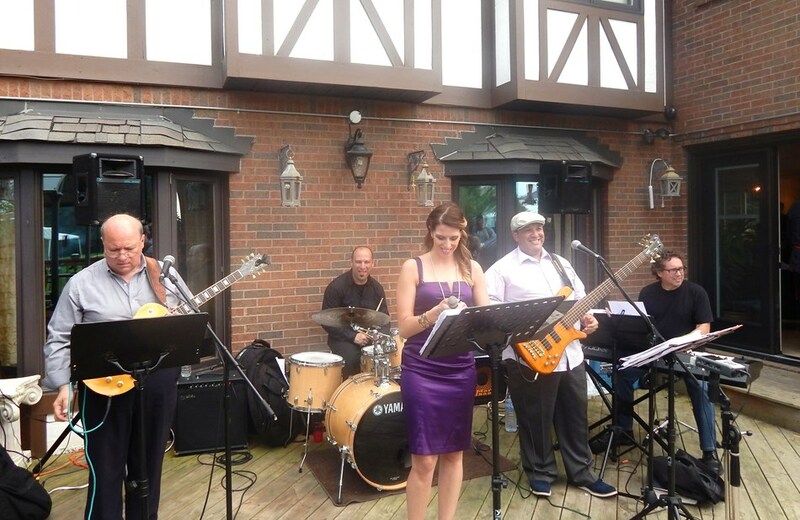 This Toronto wedding band includes the basic trio plus a female vocalist plus a guitarist/vocalist and a horn section if needed. They play energetic up tempo R & B, Motown, Funk, Reggae, Soul, Disco, pop, Cover tunes, music from the 60's 70's, 80's, 90's and more current repertoire. Everyone's favorite music will be performed for dancing and entertaining in weddings, birthday parties and other private functions. Live music at its best in the Toronto area. Professionalism and reliability from first contact to the very end of the performance. They will accommodate special song requests in order to make your event a memorable one. Wow, the Tavares Jazz Trio was outstanding. We hired them for our daughter's wedding reception at the Liberty Grand Entertainment Complex and they were everything we hoped they would be. We asked them if they could include a female jazz singer to the trio, and they added Liz who was just amazing. All of our guests commented on how they enjoyed the music. Fernando and his musicians are very talented. I hope we get the chance to meet up with them again sometime! Thanks so very very much! 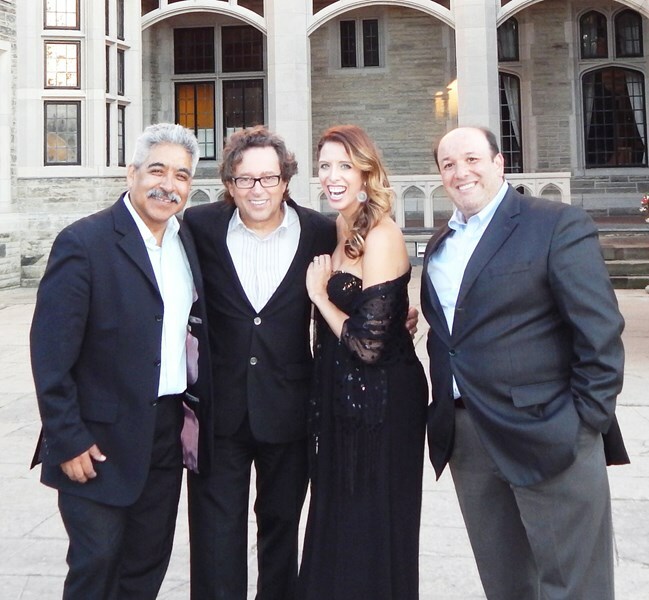 A big thank you to Fernando and this team at Tavares Jazz Trio for making our corporate event a wonderful night. They were very professional, had high quality equipment and a great selection of music that was reflective of the nature of the event. Would thoroughly recommend for anyone having any type of event. Thanks! They played our 50 person wedding last night and were wonderful. It's tough to get a small group up and enjoying themselves, but they had everyone on their feet dancing through the night - people couldn't resist. The jazz undertones for the cocktail hour and dinner, upbeat rock and ballads for dancing - and just overall willingness to work with us made things just great. What a great day - everyone loved them and their sound. You will not go wrong hiring Fernando and his group to cover your entire wedding / event. Thank you for helping to make it such a wonderful day. Dave and Linea. The performers developed the perfect atmosphere for our event. Our guests all commented on how wonderful the performers were and how much they added to the event. The Tavares Trio was great - perfect for my corporate event! They were very accommodating when making arrangements for the event and very professional. The music was elegant and created a relaxed, sophisticated atmosphere for the cocktail party. I would definitely recommend them for future functions. The Tavares Trio made the evening and everyone really enjoyed their music. Would book them again anytime. Please note The Tavares Trio / Quartet / Quintet will also travel to Oakwood, Downsview, North York, Weston, Willowdale, Etobicoke, Fisherville, Thornhill, Concord, Scarborough, Woodbridge, Maple, Richmond Hill, Markham, Mississauga, Kleinburg, Locust Hill, Brampton, Gormley, Springbrook, Whitevale, King City, Oakville, Pickering, Ajax, Nobleton, Stouffville, Bolton, Brougham, Hornby.